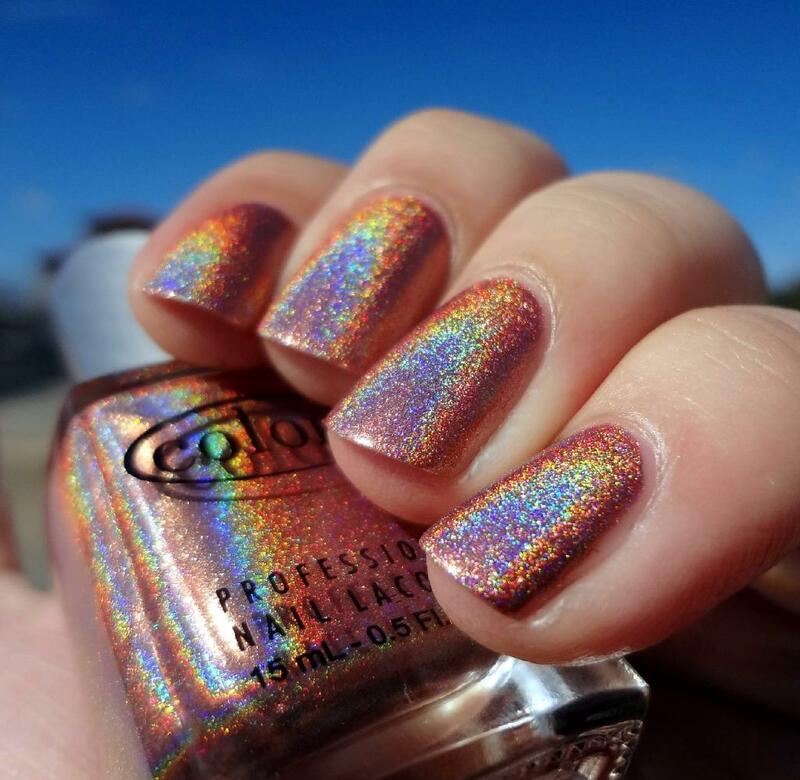 These are the newest Spring 2013 Halo Hues holographic polishes. 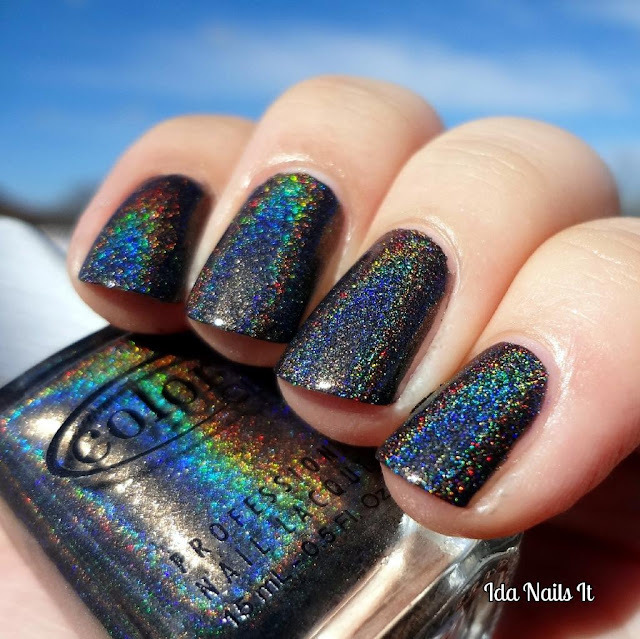 Beyond is a very pigmented black holo, much more than my non dud bottle of Revvvolution. 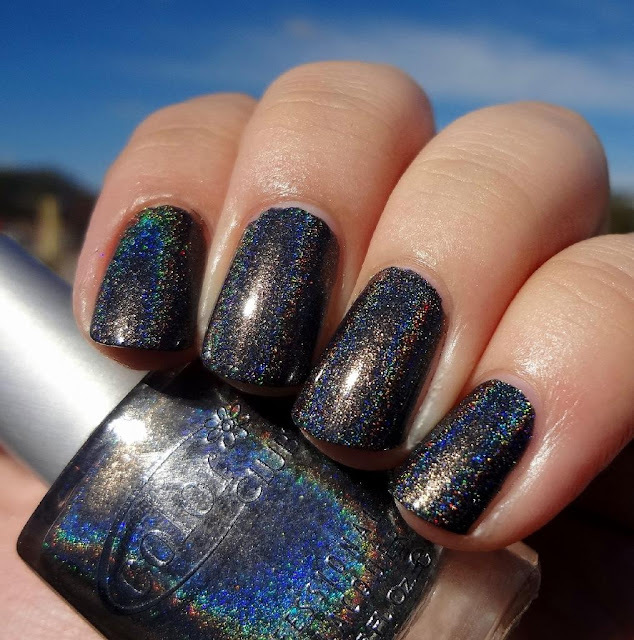 I don't know how it holds up against Jade Magic Negra, I will have to wear them together one sunny afternoon. 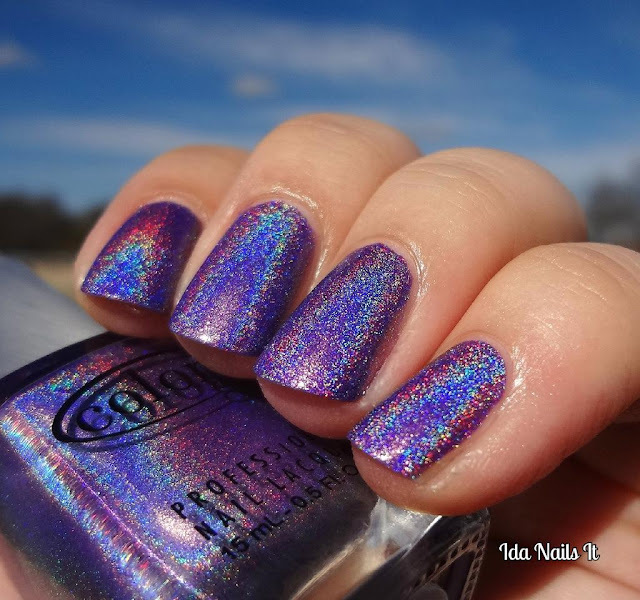 Eternal Beauty is a bright purple holo and while it's very pretty, Wild at Heart still holds it's place as my favorite purple holo polish. 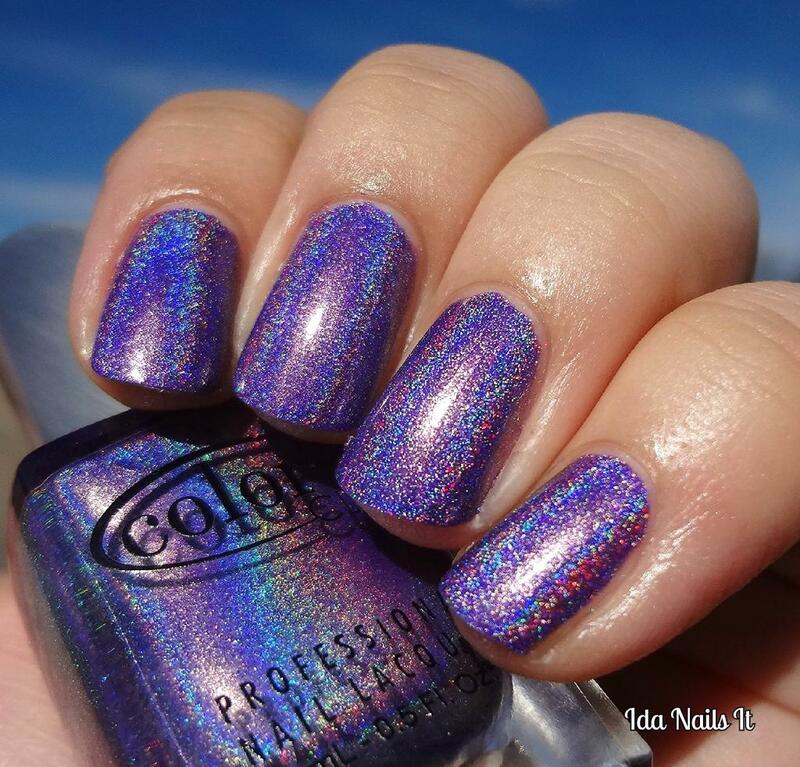 Cosmic Fate is OMFG, holo as can possibly be. 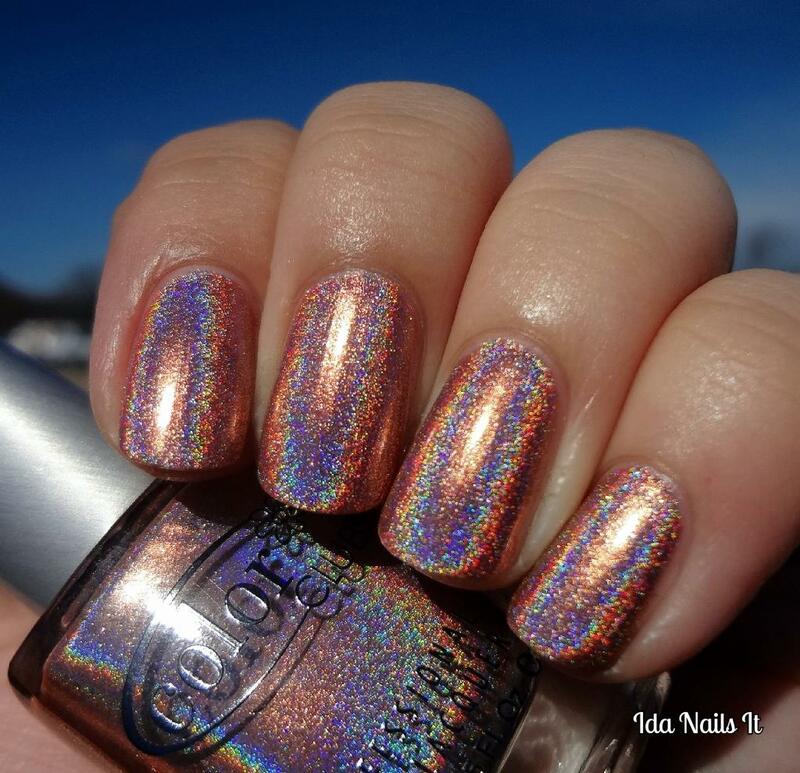 It probably has to do with the copper color itself but it is much more holographic than the other two polishes. Cosmic Fate is my favorite of all the new Color Club Halo Hues. IKR? And they apply so easily! I almost want to purge all my OMG ones now.